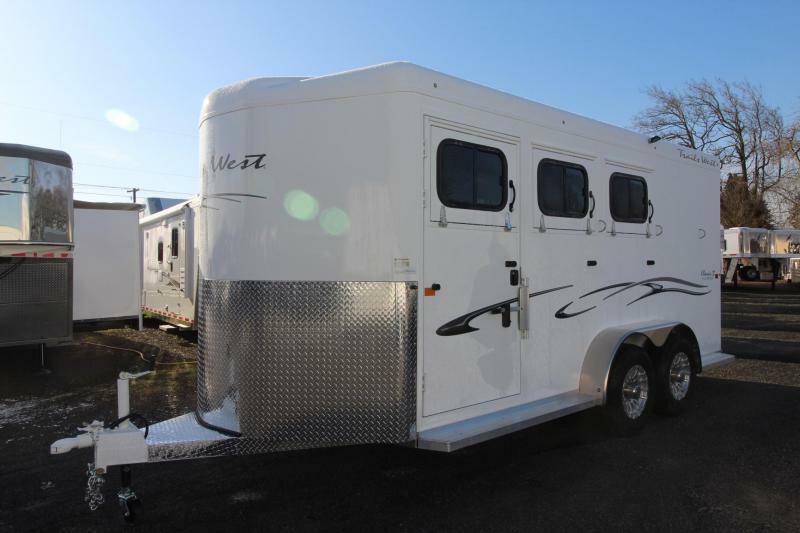 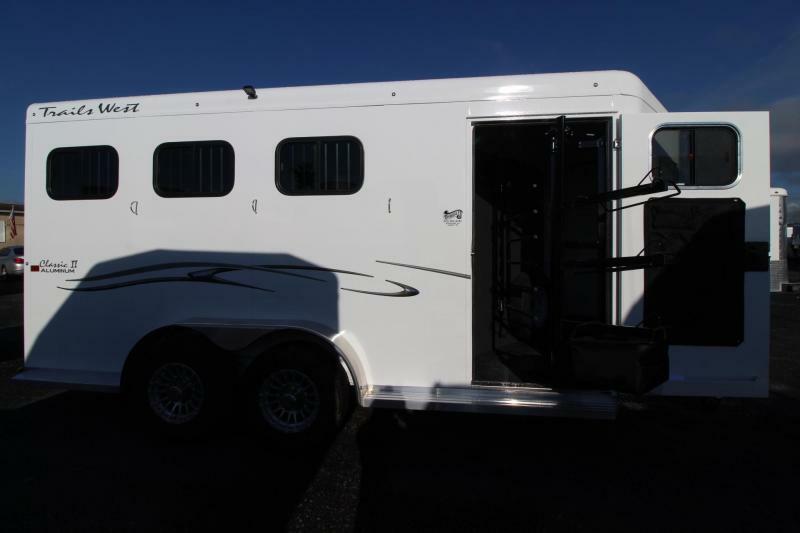 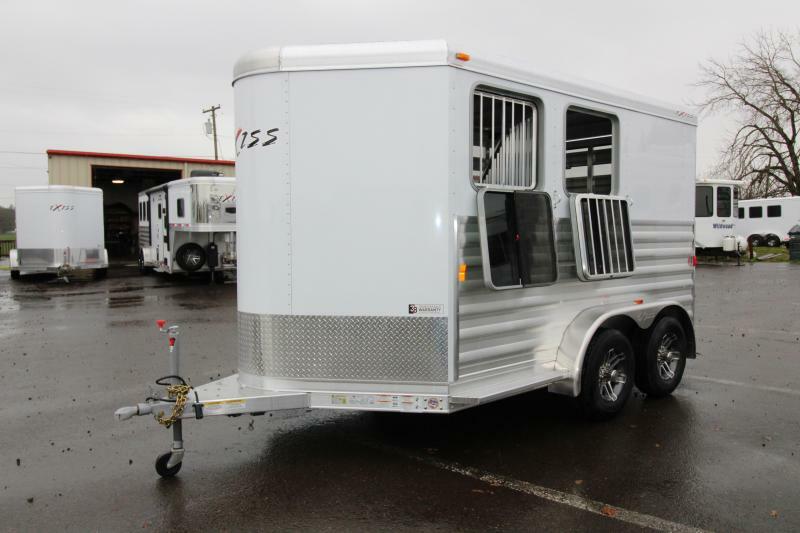 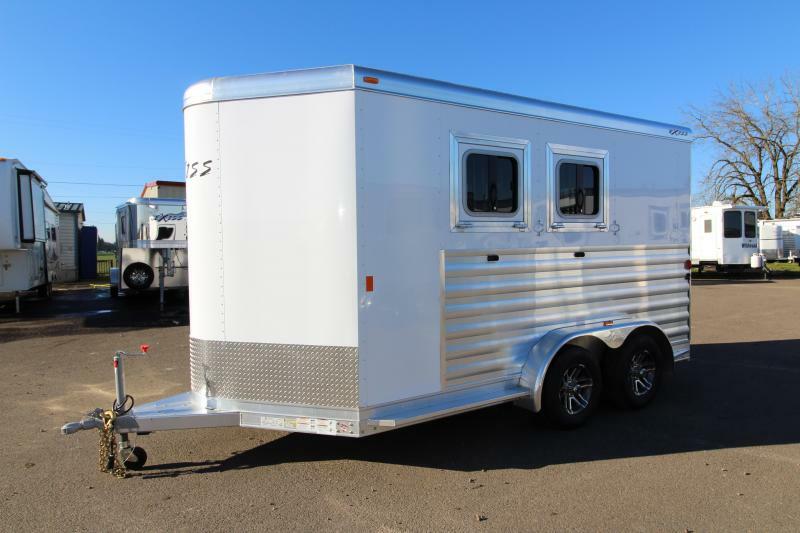 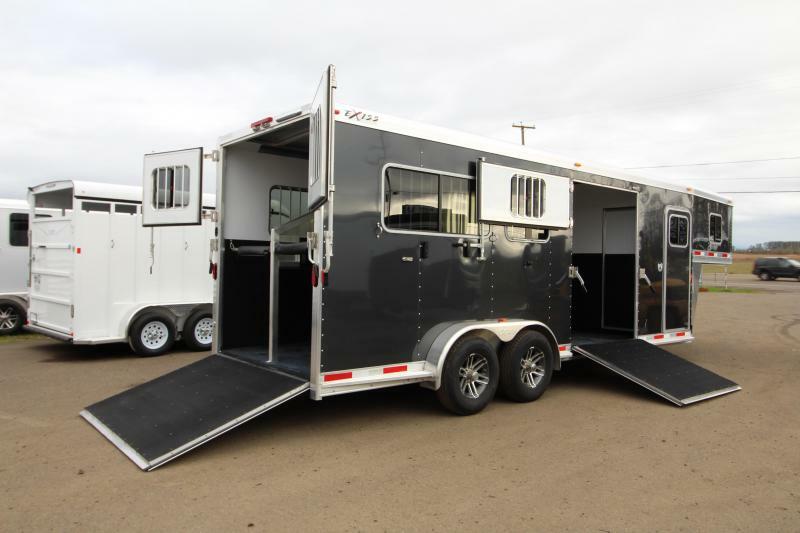 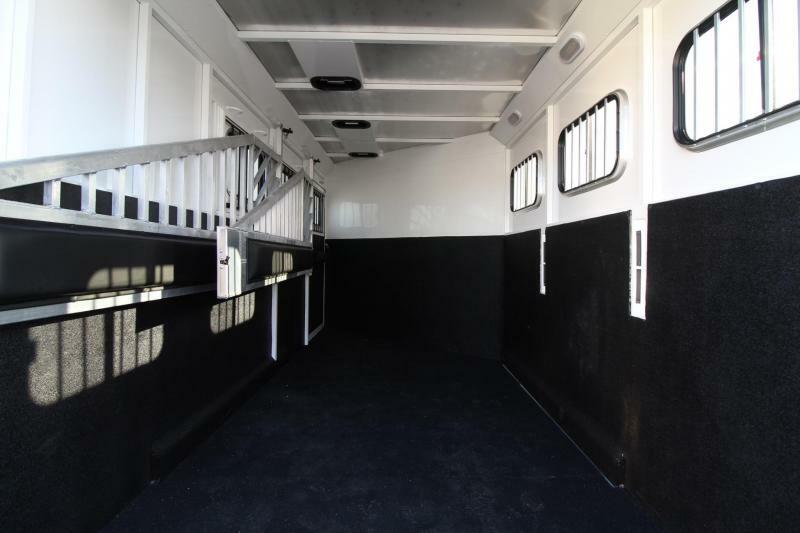 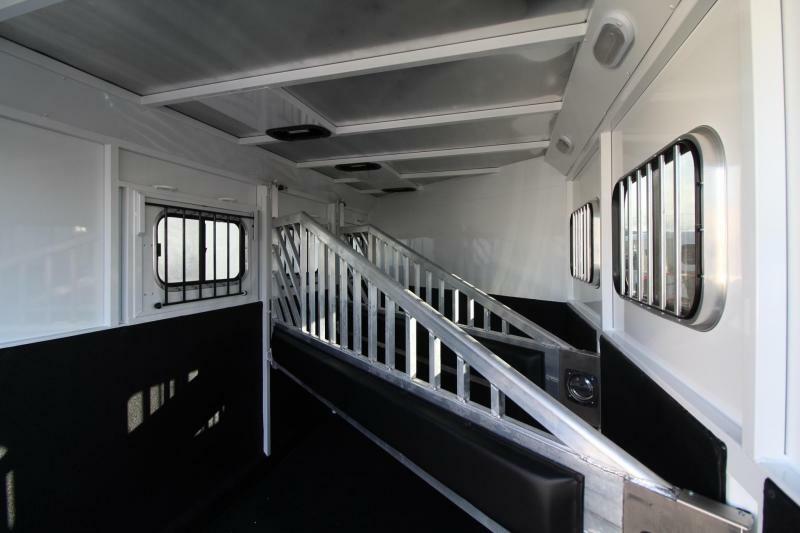 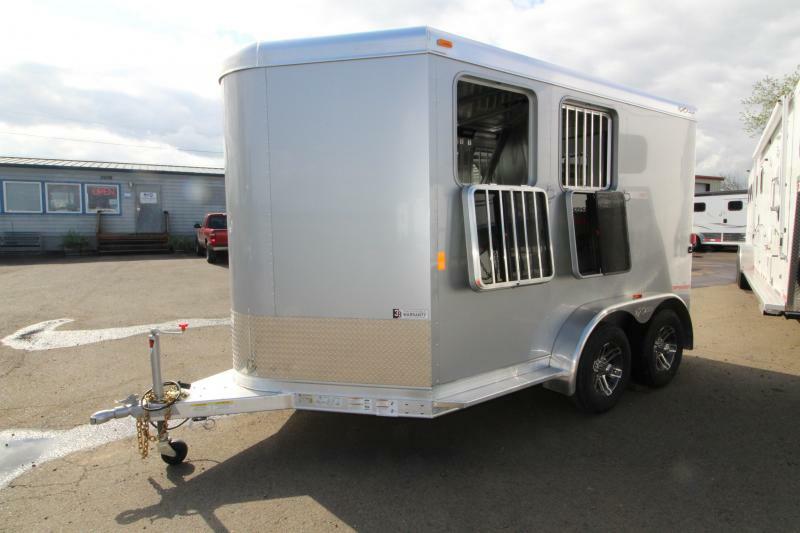 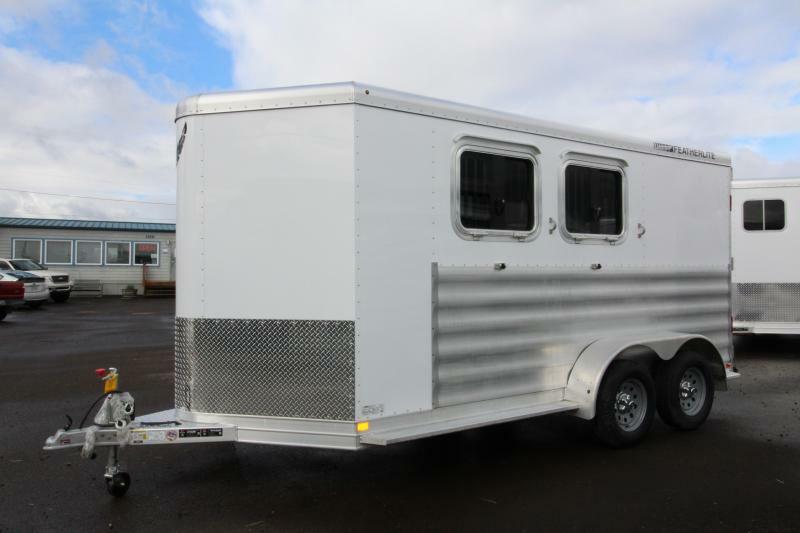 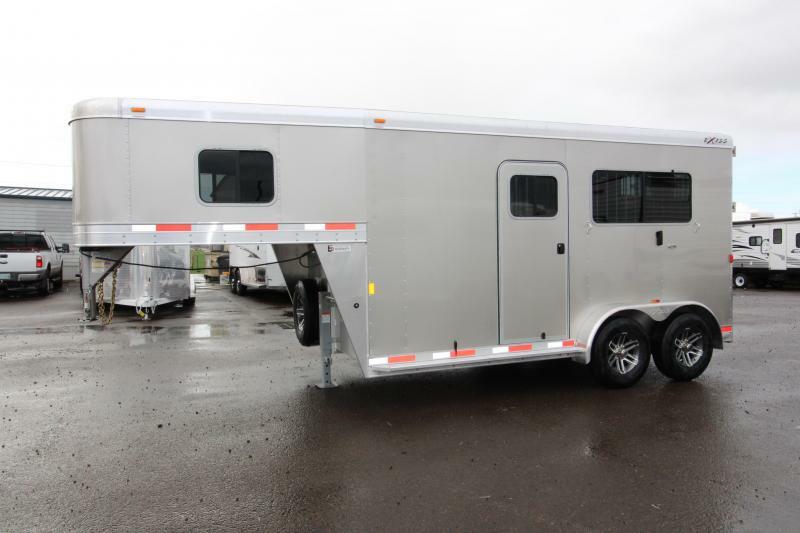 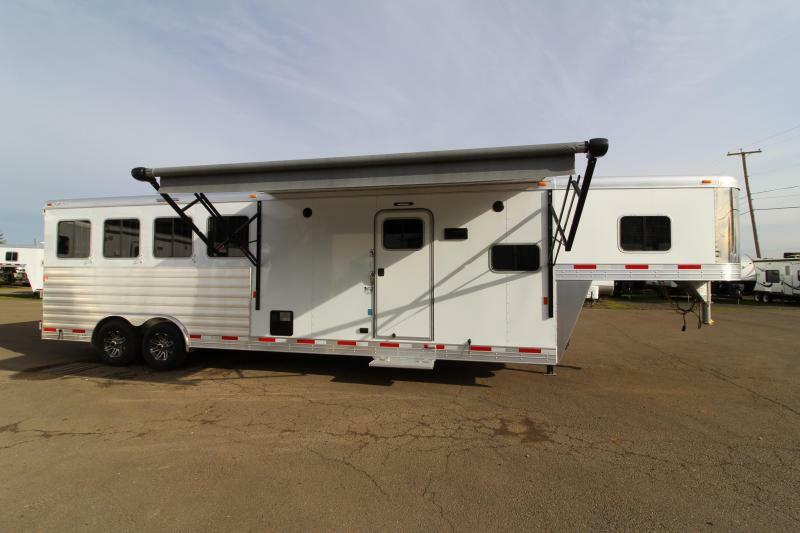 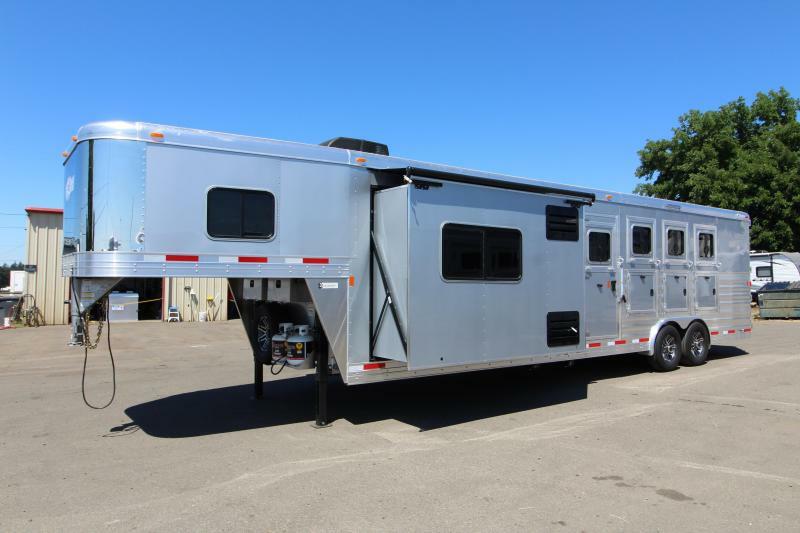 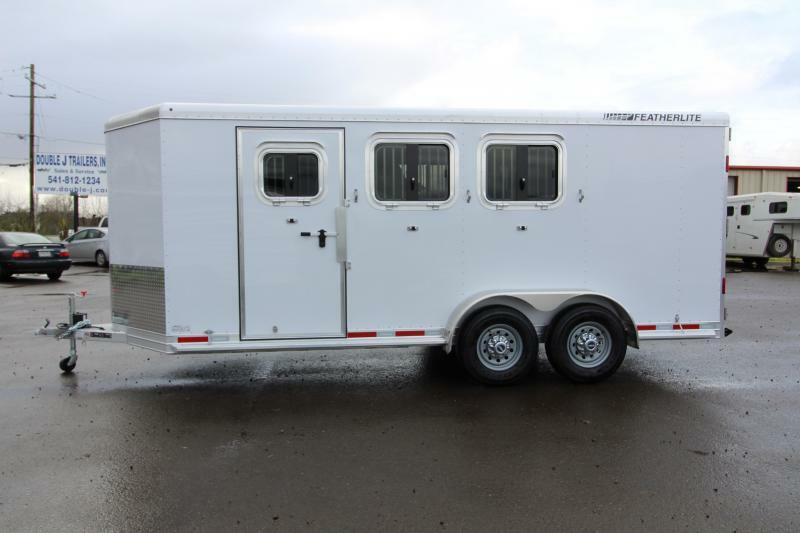 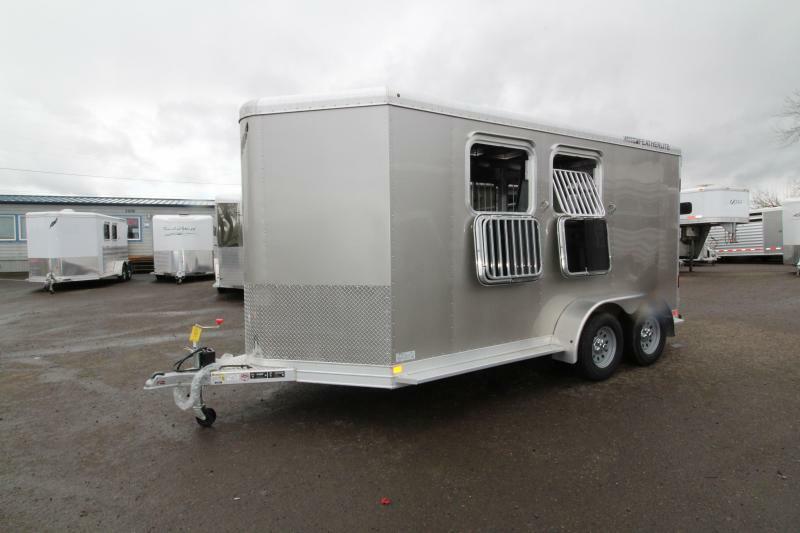 The Classic model is 7 wide with custom drop down feed doors with face grills, a roof vent in each stall and sliding windows on the tail side. 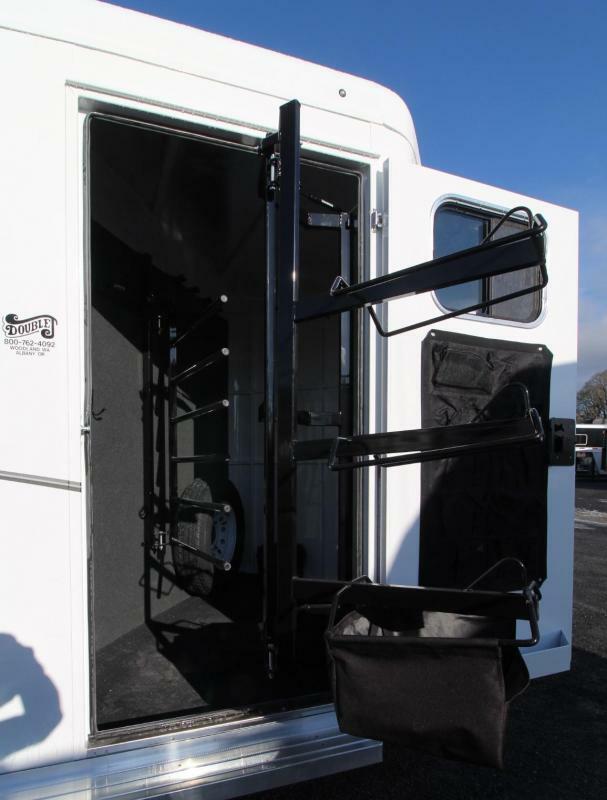 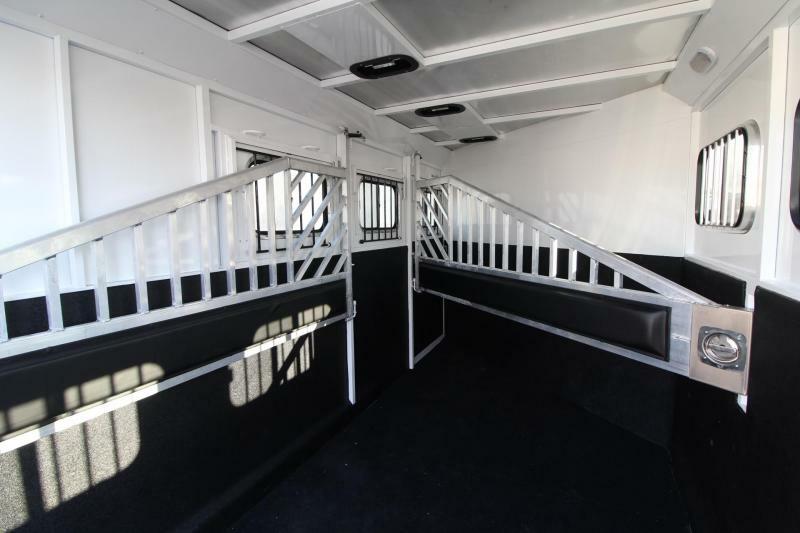 The large 41" stalls provide room and comfort for your horse locked in with the industry's best slam latch divider system. 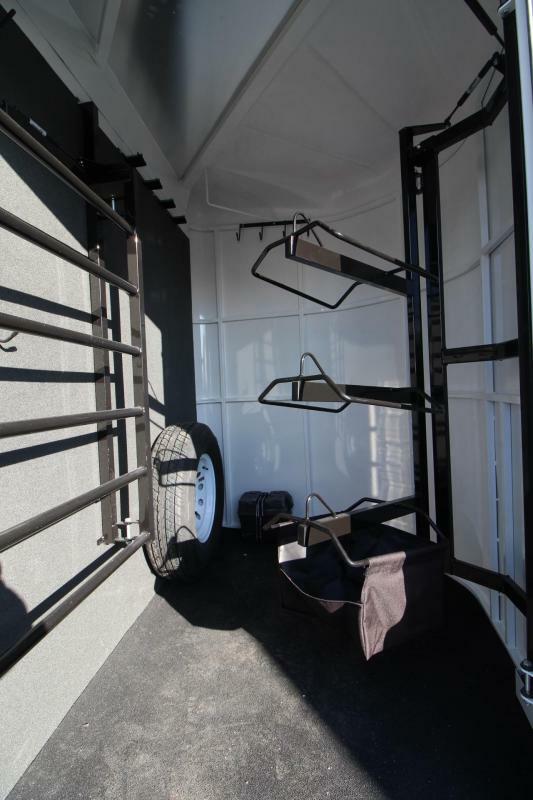 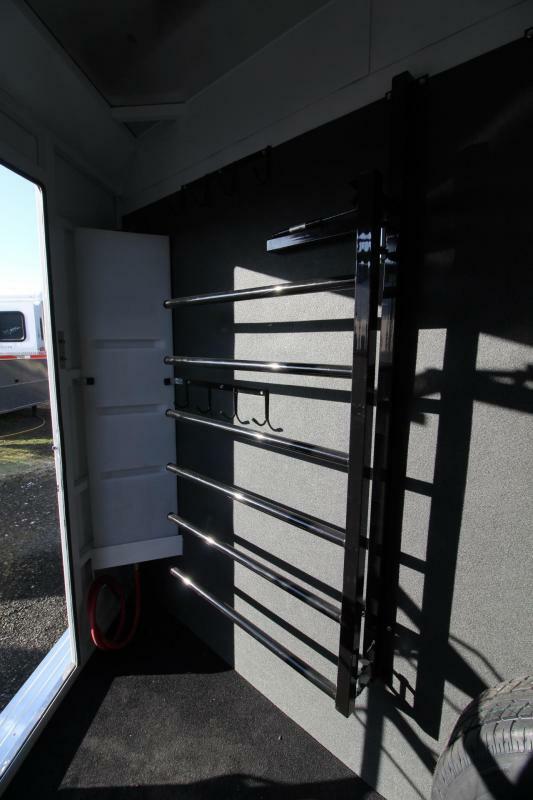 The tack room is very roomy and functional with swing-out saddle and blanket racks. 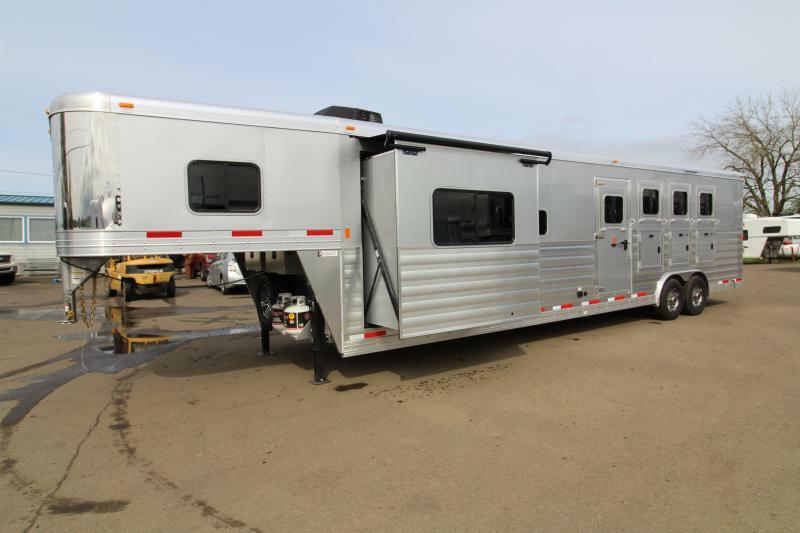 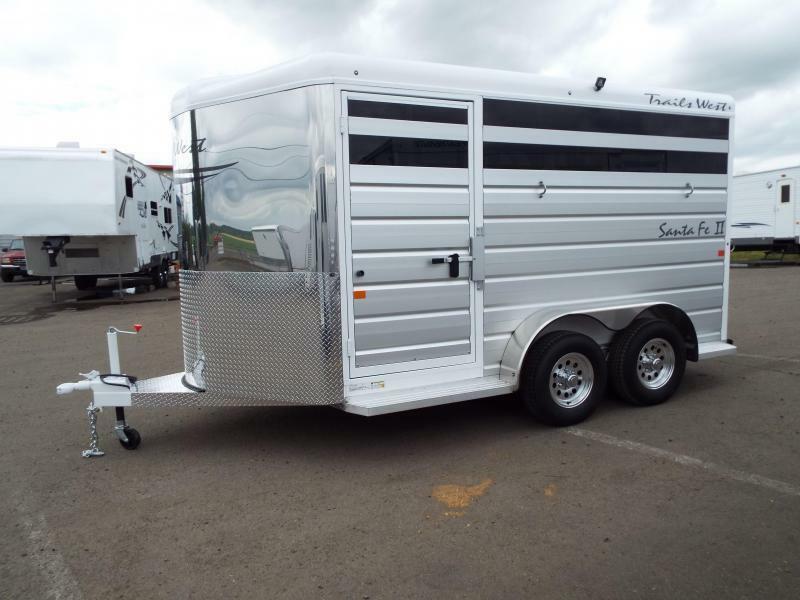 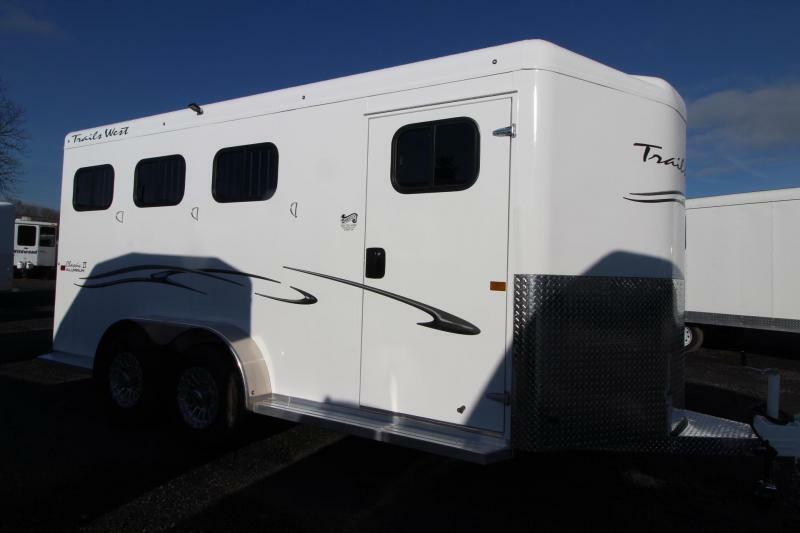 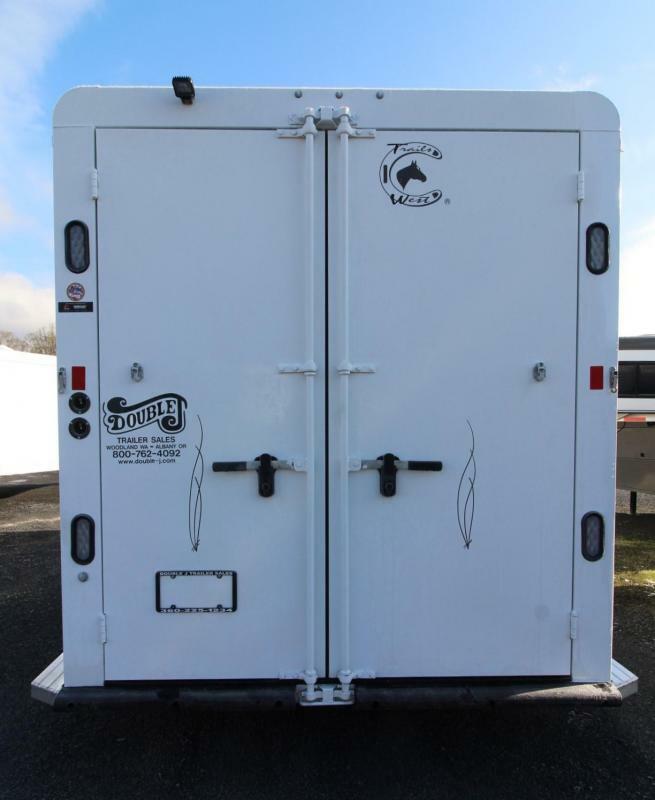 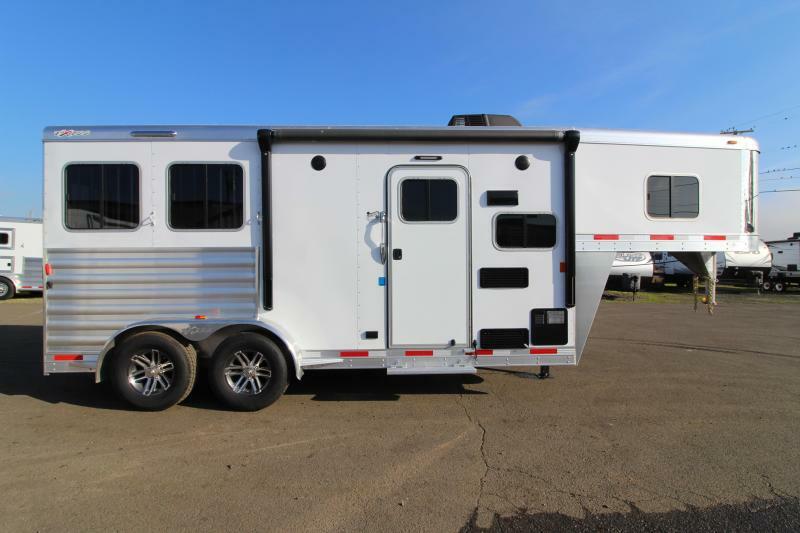 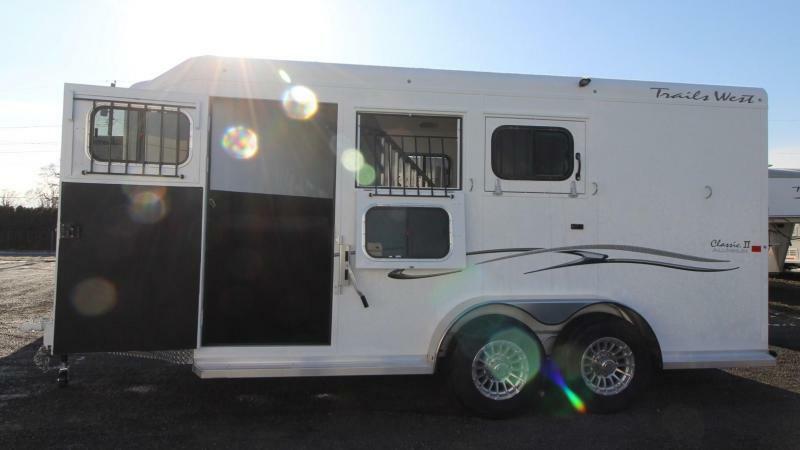 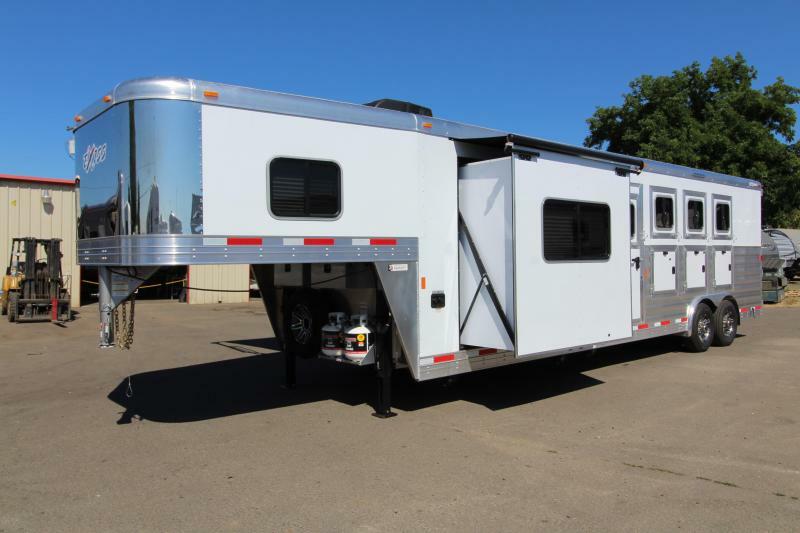 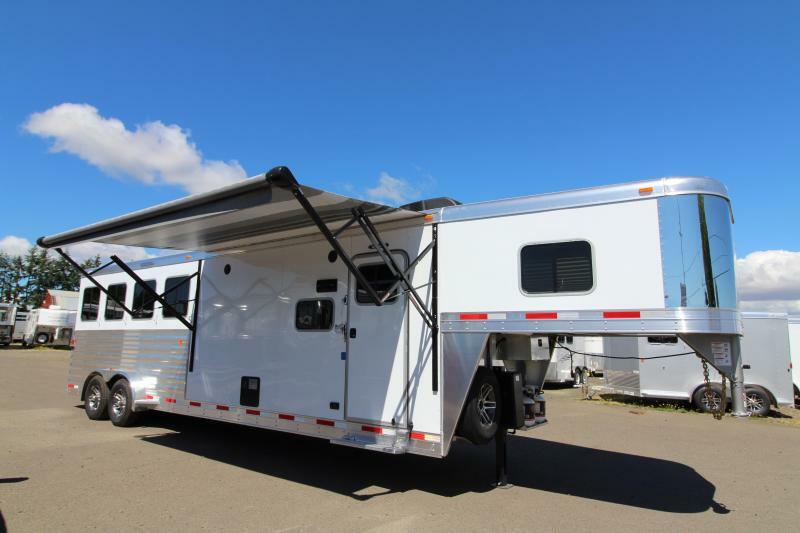 This trailer features upgrades such as; 7' 6" Tall, Escape Door, Convenience Package (Includes the following items: Spare Tire, Flood Light by Tack Door & in Rear, Water Tank, Door Mounted Organizer & Sport Bag), Rubber mats ilo carpet in tack.